Sadia Hasan is an accounting assistant at the Heising-Simons Foundation. 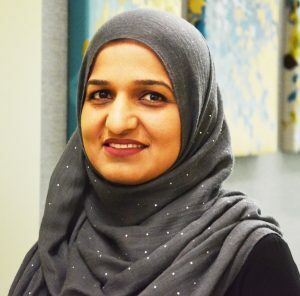 Prior to joining the Foundation in 2018, Sadia was a technical and accounts manager at the Rahima Foundation. Born and raised in Pakistan, Sadia received a master’s degree in economics and an MBA in information technology, both from Bahauddin Zakariya University in Pakistan.